I used 1/4" Black Lucite / Acrylic (Plexiglas) about 10 years ago as a temporary dash panel and it has held up well. I had all intentions to make a permanent one but just never got around to it. You could also use clear Plexiglas, sand the back slightly and paint it from the back, much like the old slot or RC cars. This machines and sands pretty easy and hold up well, in fact sometimes a little too shiny in the sun. My original dash which was part of the hood, had a million holes in it and I had to cover it with something, and this worked well. Here is a pic of the buggy my younger son and I completed about six years ago. The 'glass is very thick and we went with polyflake sprayed over a blue tinted base, then gel coated the entire body. I remember block sanding, buffing and polishing FOREVER but the result is a blinding, sparkly finish! Cost was about $900 at a boat repair shop. 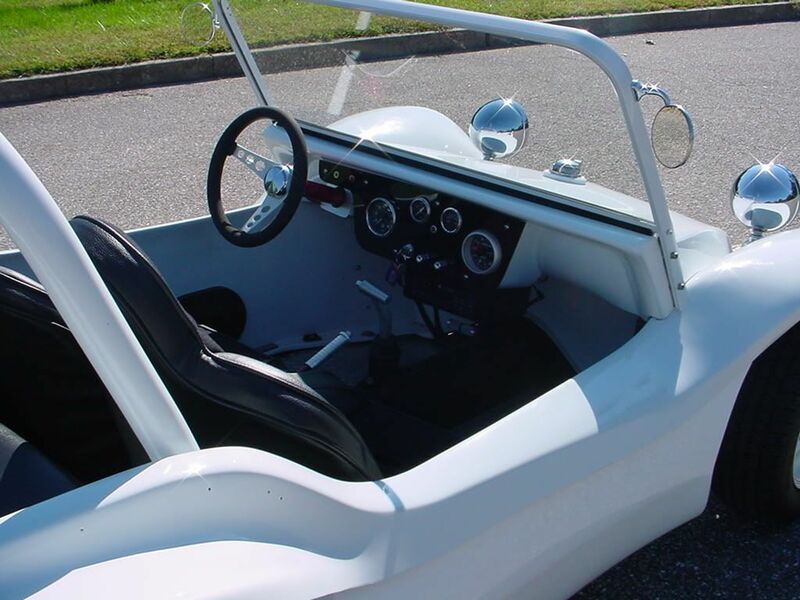 Here is way to make your body lift kit for your dune buggy from Composite material. No welding grinding or metalworking. A few wood working tools and about $50 worth of deck boards and you can make your own. 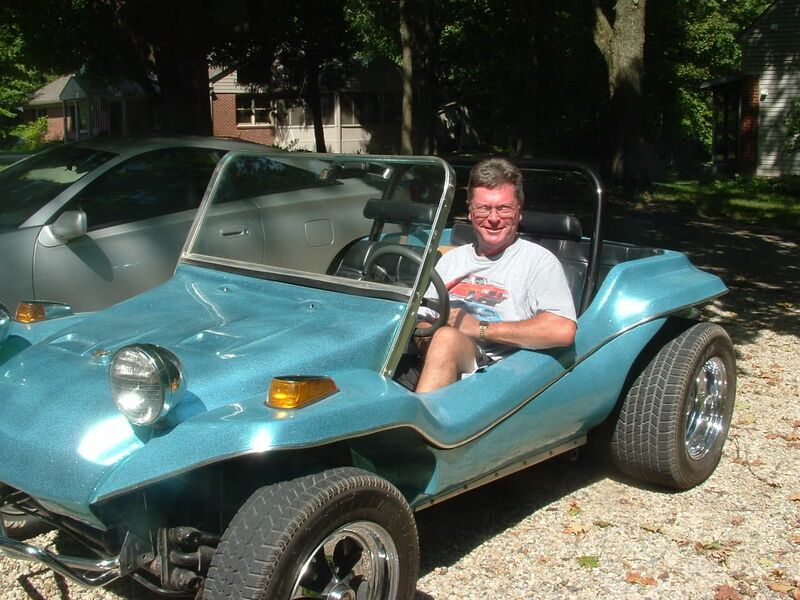 Make your own dune buggy Lift Kit here. I would consider the value of the car and determine how long you want to keep the car. If you are going to keep it for a long time I would do a gel coat finish. IF you plan selling it off in a few years I would do the cheapest alternative. Read more about Gelcoat replacement vs. Paint. Is your rear end tired and dragging a little lately? Well, I have a fix for you! One of the best ways to increase the ground clearance at the rear of your buggy is to adjust the torsion bar tension. If you don't have the right equipment don't try this because I don't think it is possible without it. This procedure is somewhat easier to do if the engine and transmission are already removed from the car but it is not a requirement. Follow the whole Spring Plate Adjustment article here. If you have knowledge to share, and would like to write up an article, you can send it to me in a Microsoft Word document and I'll create the HTML and give it its own page for all to see. You'll be contributing to the site and to our hobby. Please attach original photos you would like to use to illustrate your article. I'll even place them in the article for you. You can email the article to: manxvair@gmail.com and I'll take care of the rest.